Delivered with the patented SLAMLOCK® installed. 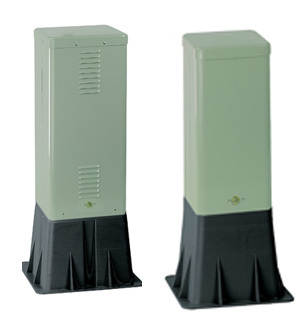 DCI’s metal pedestals are manufactured using 16 gauge galvanized steel to ensure the quality of the unit and provide increased security. Additionally, the multi stage zinc phosphate pretreatment and the high impact ultra violet modified powder coating system provide exceptional environmental performance and lasting durability. DCI’s plastic pedestals are manufactured using the highest quality copolymer to ensure ultra violet protection and impact resistance. Once installed the flared base helps the pedestal remain in the upright position and provides additional storage space. 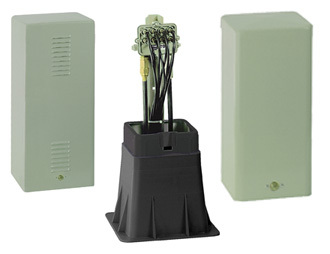 DCI’s combo pedestals are manufactured from metal and plastic. The bases are copolymer and designed with a pyramid shaped foundation that stays upright after installation. 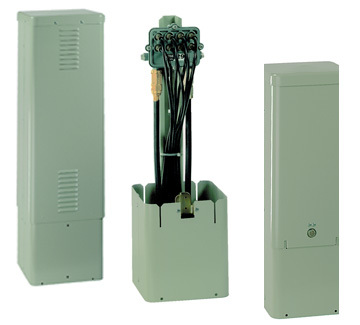 The 16 guage galvanized steel tops provide maximum security.